Mega Adorable South Korean Cell Phone Commercial! Cute Meiji Hello Panda Commercial! Kawaii iPhone 4 Case Giveaway!!!! Here's an interesting video we came across from a Finnish news show called Uutismixi ("News Mix") about the growing interest in Japanese culture. The Finnish girls are darling and have some very kawaii outfits. 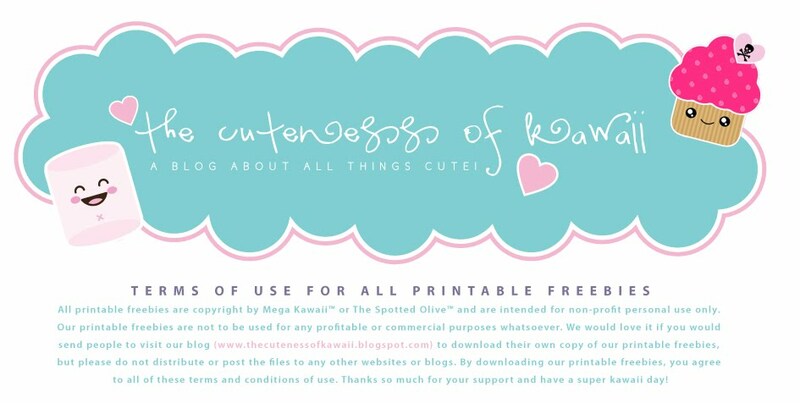 We are excited to announce our newest kawaii freebie giveaway! Kawaii Mobile Wallpapers: Check back with us often to see the newest additions. 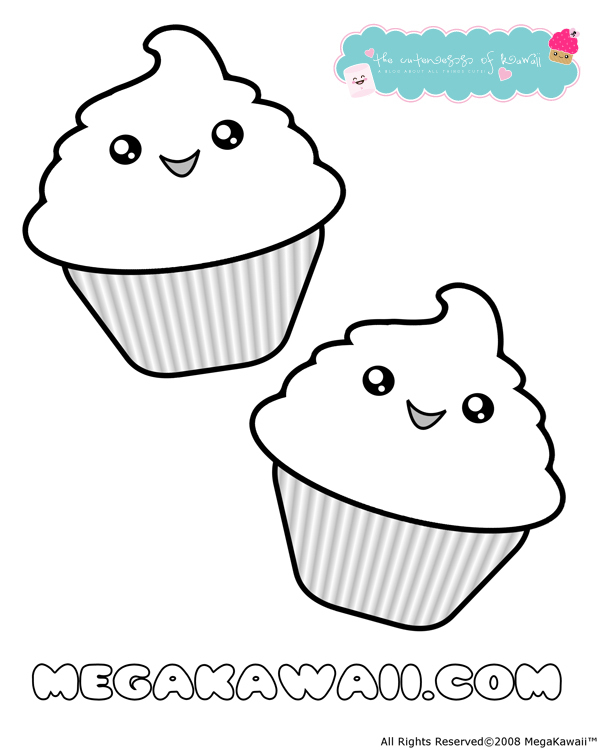 Adorable cupcakes, ice cream cones, bunnies and more! Here's a cute Korean video we came across. It's so adorable we thought it might brighten your day. Have a mega kawaii day! Here's a cute little video we found of the JPop band, Scandal, and Sanrio's Cinnamonroll! Adorable! I came across this mega adorable South Korean cell phone commercial for the LG Cyon Cooky and just had to share. The commercial song is a take off of Toni Basil's "Hey Mickey!" I'm loving the bright knee socks and overall kawaii vibe of this. So cute. Here's a cute little video we found. The talking little bowl of rice is very kawaii even though I don't exactly know what the commercial is for! Hope you enjoy it! We are excited to announce the upcoming launch of free mobile phone wallpapers! In partnership with The Spotted Olive™ and Mega Kawaii™ we will be bringing you our super cute kawaii mobile wallpapers! Stay Tuned for the release! Cute Lotte yukimi daifuku commercial featuring Ogura Yuuko. I love the bunny costume! Adorable! Yesterday we posted a commercial for the Meiji Hello Panda cookies and one of our blog readers, Maleikie, mentioned the koala cookies! So we went to find a video for them. Here's a really adorable commercial for the Lotte Koala Cookies!! Too cute. Happy Thursday! Enjoy & have a super kawaii day. I am craving Hello Panda cookies! So tasty. Here's a really cute Hello Panda commercial we found on youtube. If not just pop on over and visit! Keep up on all the latest news and kawaii goodies! Make customized stationery for both home and office. Choose from thousands of stylish templates or create your own personal design. •5.5" x 8.5" (portrait) or 8.5" x 5.5" (landscape). •Choose from five different paper types. Hey everyone! We've been gone for a while but now we're back with information on a fun giveaway! The Spotted Olive™ has partnered with Brenda Boo Art and is giving away a "Kawaii Cute & Tasty Cupcake" iPhone 4 case to one lucky winner!!! 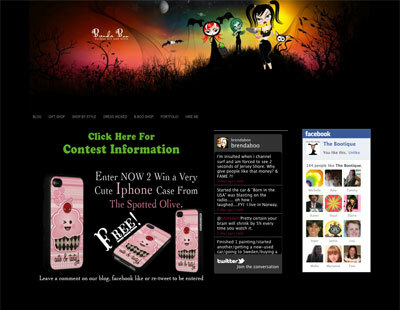 Visit Brenda Boo Art for all the details on how to enter this contest and win some cuteness for your iPhone 4, but hurry entries for the contest end on February 14, 2011! The Kawaii Cute & Tasty Cupcake iPhone 4 Speck® case design by The Spotted Olive™ offers luxury with ultimate protection. This fitted hard plastic case is covered with an easy-to-grip fabric that is richly printed. Pleasing to the touch, this lightweight and durable custom case allows optimal access to all sensors, ports, and controls on your iPhone 4, while offering superior comfort in-hand.